I’m not sure who I feel the worst for. Of course, I feel bad for the baby elephant, who probably did not appreciate whatever process painted him pink. But I also actually feel bad for Jayne Mansfield. 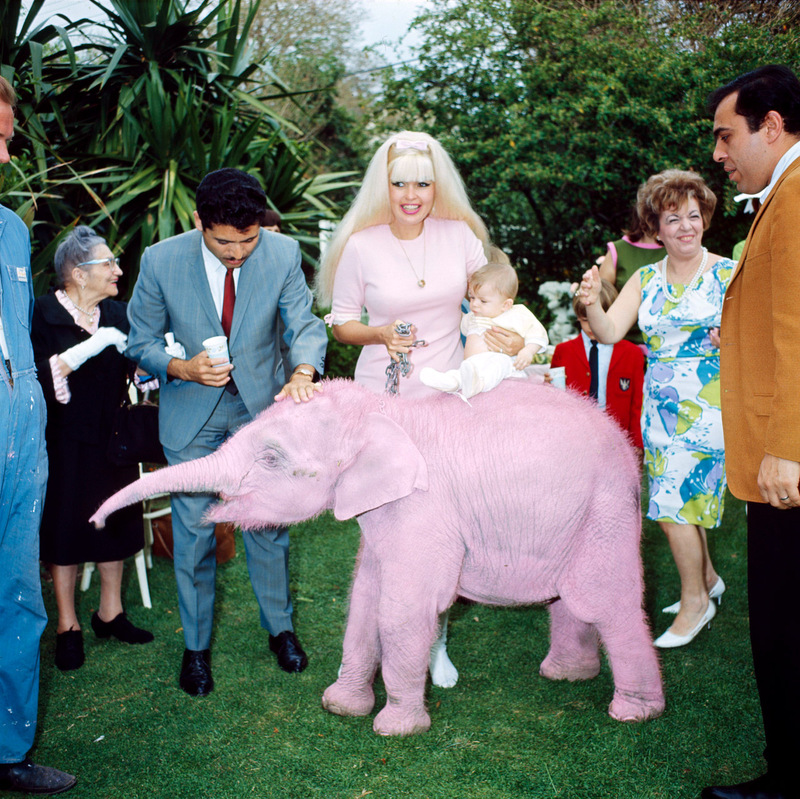 Even though it was probably her idea to paint the elephant pink, the end result of doing so with the same shade of pink as her dress leaves the viewer little choice other than to identify her with the large, awkward animal. And then there’s the baby, who I’m inclined to guess is Little Mariska Hargitay. All this fuss over her for a day she won’t even remember, plus the added horror of reaching toward what she thinks is her mom only to touch rough, dyed-pink pachyderm skin. I think when you have the resources to procure a baby elephant and dye it pink for a party, it's time to re-evaluate your charitable givings. Is it too tacky to say, "Off with her head!"